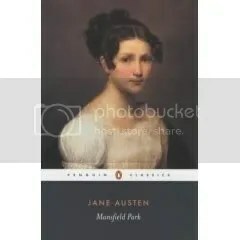 Published in 1814, Mansfield Park was Austen’s third published novel. More serious and complicated than the previous two, Mansfieldis the story of a young woman, Fanny Price, who is brought from her povertous family of 7 siblings to live with and under the care of her very wealthy aunt and uncle, Sir Thomas and Lady Bertram. If young Fanny is the Mansfield heroine, then Mrs. Norris is certainly her arch nemesis, and it is this same “Mrs. Norris” that is Argus Filch’s cat’s namesake (from the Harry Potter series) . 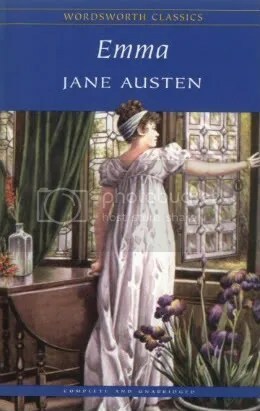 The book begins with three grown sisters who take different paths in marriage: the eldest becomes Lady Bertram of Mansfield Park, the second marries Mr. Norris of Mansfield’s parsonage, and the third, Fanny’s mother, marries a man with little money and has 8 children in 10 years without the means to take care of them. Mrs. Norris decides that Sir Thomas, Lady Bertram and herself should take one of their youngest sister’s children off her hands, and Mrs. Norris decides it should be Mrs. Price’s eldest daughter. Of course Mrs. Norris has no intention on spending a penny on Fanny’s care, but she claims all the credit and pain for the kind rescue of her niece from skid row… and Mrs. Norris never misses an opportunity to remind Fanny where she came from and how she owes her life to the Bertrams and herself for putting forth the idea to bring her to Mansfield. After her cousin Maria marries and takes her younger sister to Brighton, Fanny is the only girl left in the main at Mansfield. Having always been the shy, nervous wall-flower who never goes out, she suddenly finds herself the center of attention. She is romantically pursued by the disreputable flirt Henry Crawford. Edmund, the only person in Mansfield who has always treated with respect and love and with whom Fanny is secretly in love, is in love with Mary Crawford, Henry’s sister. When Edmund leaves to make his living as a minister, Fanny finds herself in crisis as Henry Crawford proposes marriage. If she says yes, she betrays herself… but if she says no, she will be perceived as an ungrateful, wicked, proud and obstinate wretched girl with whom everyone will be disappointed. What can she do? I have thoroughly enjoyed reading Mansfield Park. This was my first experience with this story, having never read nor seen any movie of it. It was fantastic, and I felt the same joy and discovery I found when I first read Pride and Prejudice. I had forgotten how exquisitely Austen could put different story lines together into on main work. I had forgotten how reading Austen is like taking a walk through an expertly landscaped garden, where new and wonderful things are revealed gradually and build upon the whole, not a fast and flat snapshot. I had forgotten how reading Austen is like eating a fine meal of several courses until you nearly weep from appreciation of the culinary arts, not like a number 4 at the fast food joint. Fanny Price is definitely not one of my favorite of Austen’s characters. She’s too mousy, weak and put-upon. I just wanted her to scream at them. I wanted her to take the ice pick to Aunt Norris… but I guess that’d be a different genre. She’s Austen’s answer to Cinderella, with a wicked aunt instead of a step-mother. Lady Bertram is worthless as a wife, mother and person in general, doting completely on her pug. As a mother Lady Bertram is wickedly bad; she is willing to sacrifice the happiness and future of her own children in deference to her own comfort. It’s sickening to watch so many worthless people place themselves as superior to one of the only decent people at Mansfield. Despite it all, horrible as it might be… I must admit that Mansfield holds one of my favorite Austen characters. I cannot help but love Mrs. Norris as a character. 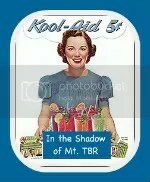 I have laughed so hard at her vexations and everytime she is foiled in her self-promoting schemes. What’s more, Mrs. Norris is the literary twin of my grandmother, so I laugh even harder since I’ve met the woman. 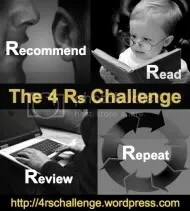 Austen’s characters are my recycled relatives! Pride and Prejudice, or First Impressions, was first published in 1813 simply “by a lady”. It is the story of two sisters, the one prefers to view the world through optimism, while the second with sarcasm and pleasure with her own wit and views. While the first sister, Jane, learns by the end of the book that evil can and does exist in people, and that people can be vicious and cruel all the while wearing a pleasant face and friendly voice. The second sister, Elizabeth, learns that all is not as it seems on the first impressions, and judgement should be reserved until more facts have come to light. In Pride and Prejudicewe see Mr. and Mrs. Bennet’s family of five girls and no sons, whose estate must fall to a male heir, deal with concerns for their future. Mr. Bennet prefers retreat to his study and occasionally regret not having saved for his family’s future after his death. He is permissive of his youngest daughters’ wild and flirtatious behaviour chasing after soldiers. He continually berates his younger three daughters in deference to the older two “sensible” daughters. Mrs. Bennet chooses to contrive opportunities for her daughters to be alone with a potential suitor, such as sending her daughter out in the rain so she can catch a cold and be forced to stay at the suitor’s home. She shows wanton favoritism of her silly, ill-behaved youngest daughters, making a fateful choice to send her to Brighton where the daughter makes a socially reprehensible choice that threatens to ruin the family all together. The lesson learned in Pride and Prejudice is that appearances are not often what they seem. Mr. Bingley’s sisters seem friendly and doting to Jane, but it is all an act, as their true feelings are that of superiority and disdain. Mr. Wickham is attractive, affable, and pleasant, but in truth is a wicked womanizer who runs out on his debts and responsibilities. Mr. Darcy seems cold, snobbish, proud and ill-mannered, but this is really how his shyness and fear of meeting new people, as well as his choice not to reveal the truth of his past with Wickham in order to defend Wickham’s maligning him. I have read Pride and Prejudice before, and rereading it reminded me how much fun and funny it was. Many of the tete a tetes between different characters are delightful: Mr. and Mrs. Bennet’s interactions, Elizabeth and Darcy’s verbal volleys, and best of all, Lady Catherine’s demand the Elizabeth NOT to accept a proposal from Darcy is met with the latter’s socially inexcusable refusal which leaves the Lady sputtering and hissing disdain for the entire Bennet family. I have found that the first time I read this book, I was definately Elizabeth. Now, about 15 years later, I am still Elizabeth Bennet. I tend to jump to judgements, though not as quickly as before. I am a fierce defender of my family, more now than before. I have a sarcastic wit that I enjoy in myself, which is richer with the experiences of life and a better understanding of people. I love and respect those who champion integrity and help the loved ones of the one one loves. I am, however tempered with a little Jane: I do choose to believe people good until they prove themselves otherwise. Like Sense and Sensibility, Pride and Prejudice could be modernized and be just as true and socially relative as in 1813. Parents still desire for their grown children to be successful and happily married to a good person. Children still die of embarrassment when out in public with their parents. And the fiercest enemies of happiness is our own friends and family. I have finally begun my Jane-a-thon, which I’ve been dying to do for some time now. I’m putting aside ARCs, books to review and overdue library books. But such is the sacrifices I make for my obsession! Jane Austen (1775-1817) is one of the greatest authors of all times, and possible the greatest woman author as well. She cleared the way for many others, the Brontë sisters, Mary Shelley, Virginia Woolfe, and so many others. There were women writers before her, but there was something in the way that Austen wrote that proved a woman could write with a balance of logic and emotions, and that both sexes could enjoy her work. 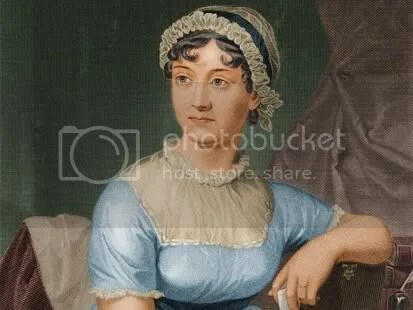 In Austen’s short life of 41 years she published a book every year or so after the 1811 publication of Sense and Sensibility. When I was in my high school honors English reading club, I read Pride and Prejudice, and I read Sense and Sensibility after watching the Thompson-Grant movie. These two are the only Austen’s I’ve read before, never really taking notice of the others. However, a couple months ago, I thought it might be interesting to read all of them, straight through chronologically to see how Austen grew as a writer, and to get a fairer sense of the life and times of Georgian England. And now… a Janing I must go!